Nourishing hand cream with aronia extract, honey and bee wax. 75 ml. 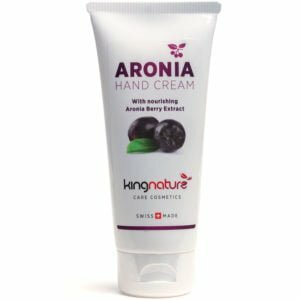 The Aronia Hand… ..
Swiss Artemisia Cream with Frankincense on an aloe vera gel base. 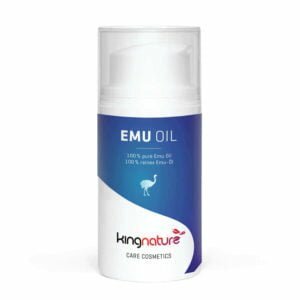 From Swiss organic… ..
100% pure, natural emu oil. Supports regeneration and provides moisture. A nourishing effect to maintain… ..
100% natural fungus protection cream with Artemisia, cinnamon and habanero from Swiss cultivation. Due to… ..
Warming sports cream with pure herbal additives & aloe vera, without parabens… ..
Natural day cream with OPC. Excellent to revitalise your skin… ..
OPC 24 Hand Lotion - Real natural cosmetics with anti-aging effect. With smoothing apricot oil,… ..
OPC24 Night Cream - virtually 100% natural night cream for a smooth revitalised skin… ..